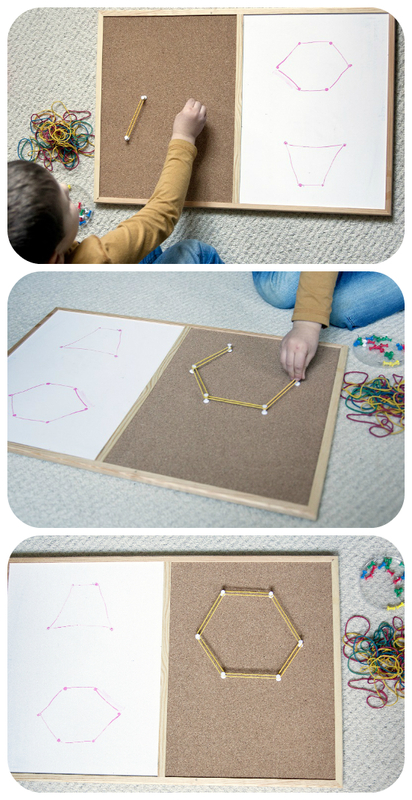 A geoboard is a simple mathematical manipulative used to explore some basic concepts in plane geometry. And the best is that it's so easy to make at home! Mr Frog spotted a huge pack of rubber bands in the local pound shop. Great! 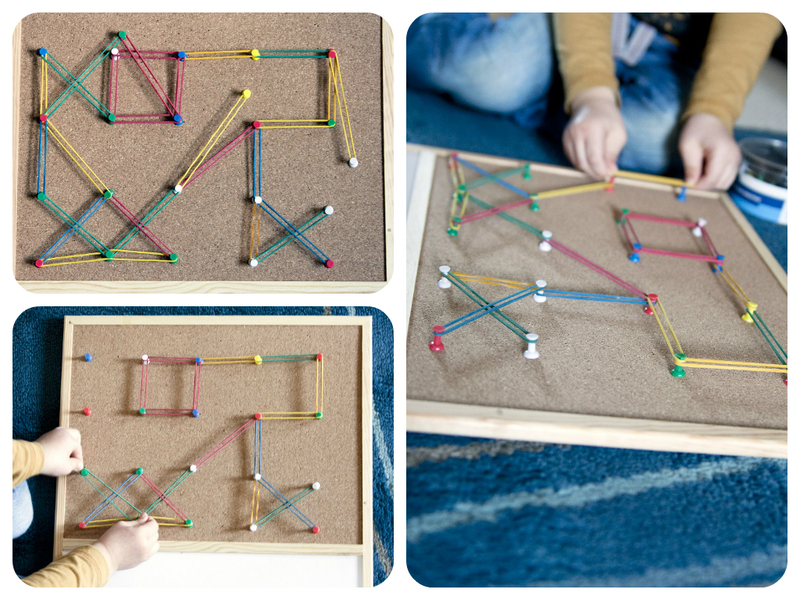 With an old cork board and some push pins I found in my kitchen we made our own geoboard. Simple as 1-2-3! Something more challenging? Coping shapes I drew on the side of the board. 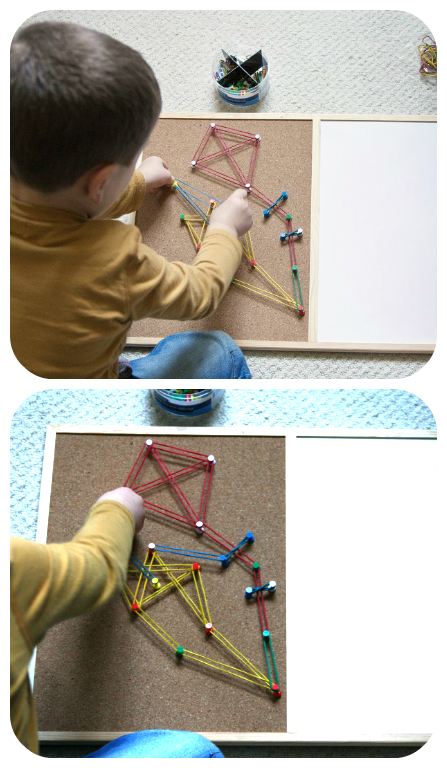 Coping shapes on geoboard was easy for Mr Frog so I took all pins on a side and asked him to make shape all by himself from scratch. Mr Frog had to compare, count pins, check distance. And he did really well! I found great Goeboard web application HERE. 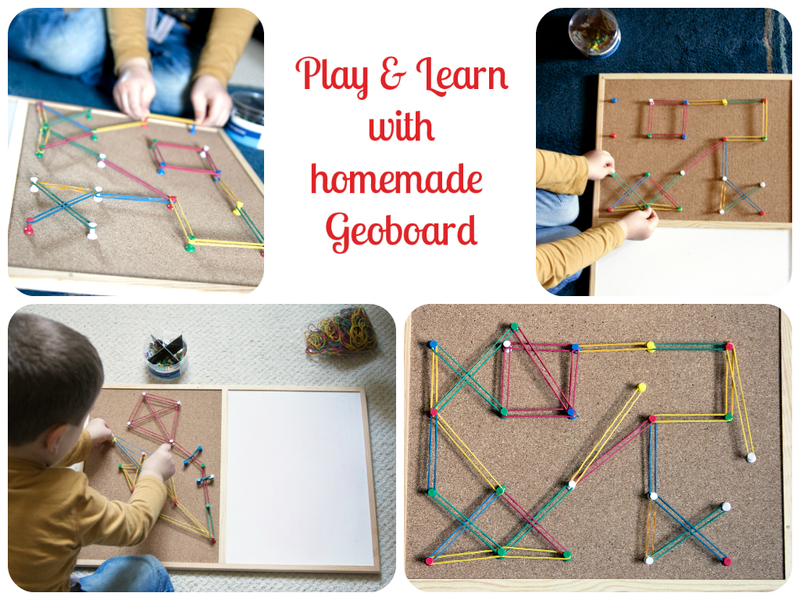 If you don't have geoboard but would like to try how it works it's worth trying.